Research into how birds and bees use vision in flight is guiding the design of future autopilots and unmanned aerial vehicles. 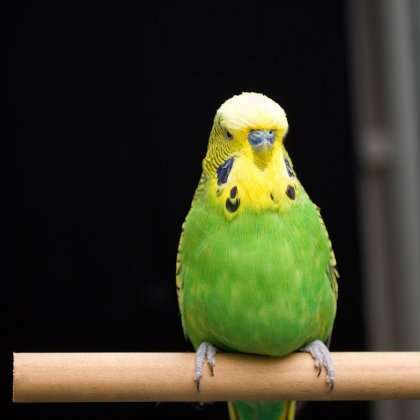 A study by University of Queensland scientists has found that the humble budgerigar uses visual cues to judge and adjust its airspeed. Queensland Brain Institute researcher Dr Ingo Schiffner said understanding how speed control worked in birds could lead to the design of more flexible aircraft systems. "By mimicking birds, which have similar flight constraints as planes, we can look at developing systems that can more easily adapt to different speeds and conditions such as landing, cruise and take-off," Dr Schiffner said. The team conducted more than 500 flights under various conditions to see how well birds adjusted their speed to imposed changes in optic flow. Optic flow is the apparent speed of an image in the surrounding environment that birds experience in their eyes. Budgies flew down a long tunnel lined with projectors displaying moving patterns to make the birds believe they were flying either faster or slower than they actually were. "We wanted to see if birds, like bees, control the speed of their flight by regulating the optic flow," Dr Schiffner said. "When we moved the pattern in the same direction as their flight, this would reduce the apparent speed of the environment, and thus cause them to fly faster to compensate," he said. "In the most extreme case, the birds increased their air speed by about 50 per cent when the pattern was moved in their flight direction at a high speed. "However, the opposite did not occur. When the patterns moved against the direction flight, the birds barely reduced their flight speed. "We think this asymmetry is due to the aerodynamic and energy constraints that birds experience in flight." QBI's Professor Mandyam Srinivasan said comparative studies of bees and birds could be applied to future autopilots for commercial planes or unmanned aerial vehicles. "The current generation of biologically-inspired unmanned aerial vehicles is derived from insect vision, and is most applicable to helicopter-like aircraft," Professor Srinivasan said. "However, the bird research may be more readily applicable to fixed-wing aircraft, because bird flight is more like the flight of a fixed-wing aircraft than a helicopter," he said. The research is published in the Nature journal Scientific Reports.